Temok Hosting Blog > Entrepreneurship > Why Would You Need A Dedicated Server? Typically, when you apply for hosting you will share a server with several other customers. When you have a dedicated server, you will usually lease a server from your hosting company, and you will be the only one using it. You will have exclusive rights to your hardware. You still will need a hosting company to oversee the actual server box but all the bandwidth, memory, etc. is all yours to use as you see fit. Servers are affected the more people that are on them. It usually can slow them down considerably. When the server slows down information is not transferred and available as quickly and makes your website slower to respond to customers. There has been found to be a direct correlation between page speed and conversions. Sites that load slower typically lose users and have fewer conversions than sites that respond quickly. Google algorithms also penalize sites that are slower because Google knows that if a page hasn’t loaded in the first two seconds, the majority of customers will move on by hitting the back button and going to the next site on the search page. Page load time plays a significant role in ranking and website traffic. When you have a large number of web hosting users using the same server it can overload the resources and cause downtime. Which sometimes means your site will load very slowly and other times it may not load at all. We have all waited on websites that the little circle spins round and round until we finally move on. An example of what a shared server might look like is when you go to a restaurant during the rush hour, and they only have twenty tables, and twenty-six families or individuals are waiting for a place to set so they can order dinner. The restaurant has limited sitting just like a server has limited resources. Only so many people can sit and eat at once in the restaurant and only so many resources on the shared server will work at once before there is a slow down or stoppage of some services while resources are freed up. At the restaurant as people finish eating and leave everyone eventually can e served. The same is true about the server. As one user gets off the web or uses fewer resources, another user can start using them. This is one of the most significant problems of a shared server. At the same time if you are waiting to have available resources to use how many more people are driving by the restaurant and see the line and go on by that potentially would have eaten there had they been able to see an opening to get inside. Every time you are for resources to open up so you can use them how many potential customers have gone on to the next possible restaurant where they saw an available table? One of the main reasons people get dedicated servers is that they do not want to share a server with others. We have discussed how sharing a server can cause it to slow down, but it can also make it less secure to use. Shared servers are more susceptible to hackers. Dedicated servers, while they can still be hacked, are less exposed to hackers making them a safer choice. If you have a website where you are collecting information from your customers, then you will want to consider a dedicated server of your own. Having a dedicated server helps you to monitor your resources which means you can often pinpoint problems before they arise which allows you time to correct potential problems early on. How often do we see where companies have been hacked and their customer’s information was stolen? Using a dedicated server is more secure. Hosting companies may not notice right away issues that need to be fixed. Left unfixed it can cause worst situations to occur. Even if hosting companies notice an issue and notify you when using a shared server, there are a few changes you can make to rectify the problems even after you know about them. Having a dedicated server gives users a higher level of security and safety. This is especially important if you have an e-commerce site. If you have more than 1000 visitors to your site per day, you will benefit from a dedicated server. If you have more than 100,000 visitors to your site per month, then you definitely will want to have a dedicated server. If you are collecting personal data from your customers, then you will want a dedicated server to help protect their information. This is especially important for e-commerce sites or social media sites. Places where you find a large amount of content such as news sites also need a dedicated server. It takes time to move more substantial amounts of material from the server to the user. Dedicated servers can speed up load times. You might need a dedicated server if you use shell scripts or any custom software. Typical hosting does not come with the options to customize your programming. When you use a dedicated server, you can choose what software you use and which hardware specifications you need to use, You can also customize what operating system you need and other configurations. Businesses that are multiplying or planning to expand should consider getting a dedicated server so that they do not experience down times. You may need a dedicated server when your company has a lot of people using an email account. Sharing hosting can spread the potential of a virus as they spread from the shared server to your system causing extra expenses and problems. A dedicated server can help prevent this from happening. Having a dedicated server can also give your business the flexibility of several applications including database storage and access, VPN’s, and much more. You can even set up custom virtualization. Don’t you want your site to be one that users can get onto if they are looking for services or products you sell? Don’t wait too long to move to a dedicated server. The more data you need to move the more planning is involved. To smoothly migrate to a new server you should plan ahead. You will need to research and pick out the best-dedicated server to fit your business or personal needs. Some companies offer free migration services when setting up your dedicated server. Be sure to check into this when ordering a dedicated server. Although dedicated services may cost more per month than just using a shared server the cost can be worthwhile because of the significant benefits. Over the long term having a dedicated server, in fact, can be more cost-effective because of the value you get from them for your business. A dedicated server will allow users to process massive amounts of data efficiently and quickly. There are millions of websites on the web and millions of users at any given time. 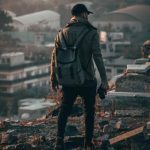 Digital Marketeer | Travel & Food Lover | Tech News & Reviews! Realistic justifications why we have to upgrade to a dedicated server. As business or blog traffic grows, it becomes obvious to expand our resource investments. Least case, to escape from online hackers, we must protect our online space with dedicated servers. Thanks for the article, Stuart. I think a dedicated server for the small or medium website is not a good idea. 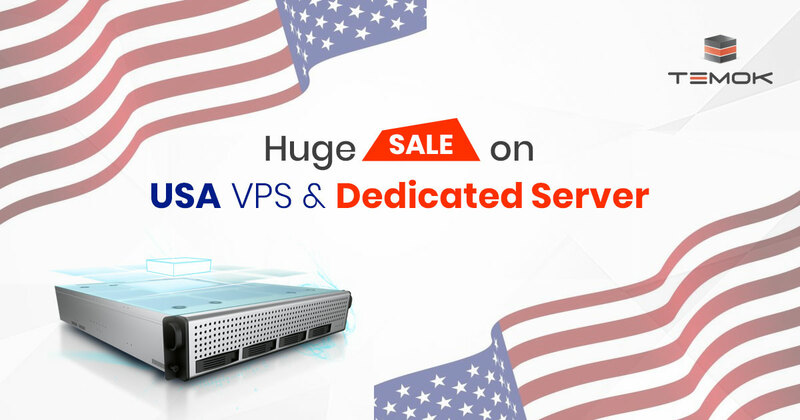 VPS is a great addition for those who don’t want to get in the hassle of a dedicated server. And they are capable enough to handle a good amount of traffic. We are collect some info in this Blog. there are numerous benefits while using dedicated server but these benefits come with a huge cost. It is necessary to understand when to use the dedicated server and shared server so that you will be getting the right of hosting services of your website.